Mac or other Apple device not working as it should? At Data Recovery 47, our team of knowledgeable restoration experts is trained to perform a Mac data recovery or recovery on any other type of Apple device. While these devices are wired in their own unique way, which functions very differently from the inner workings of a PC, the DR47 recovery team intimately understands the specific ins and outs of each Apple device and is capable of restoring full capabilities to your malfunctioning machine. A Mac is the general name for a computer that is made by technological company, Apple, but in reality, it can refer to one of many devices. 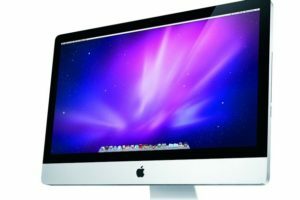 A standard Mac is typically referring to the desktop version of this company’s computer, which is also known as an iMac. An iMac is a large, all-in-one desktop computer and monitor, known for its high-performance processors, graphics and storage capabilities. A Mac can also refer to the laptop version of this computer, also known as a MacBook. The MacBook comes in several different versions, such as a lighter, more compact, MacBook Air, and a commercially-intended MacBook Pro, which offers more high-level and high-performance options for professional use. Mac can also refer to a Mac mini or a Mac pro, two more versions of this system, which offer different advantages and disadvantages as compared to the rest of the Mac line. Each product in Apple’s line of Mac products has its own unique distinctions, which differentiate it from the other devices produced under the same name, but Data Recovery 47 is prepared to handle all of them and perform a Mac recovery on whichever device of yours is not functioning properly as it should. Whatever issue you are experiencing with your Mac, don’t hesitate to reach out to Data Recovery 47 and give us a call. We strongly recommend that you give us a call at your first signs of trouble, rather than attempt to perform a recovery on your own. Due to the delicate nature of the Mac devices, an amateur attempt at fixing the problem may cause more harm than good. Our pleasant and professional team of Mac data recovery experts is on standby 24 hours a day to help ensure that your Mac is restored and returned to full functionality within the minimum amount of time.